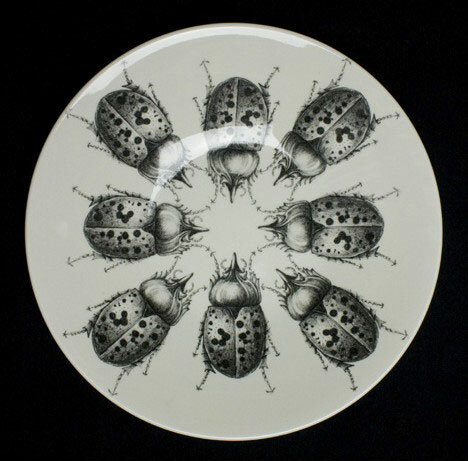 Hand-drawing Bugs on Ceramic! Fantastic or Disgusting? 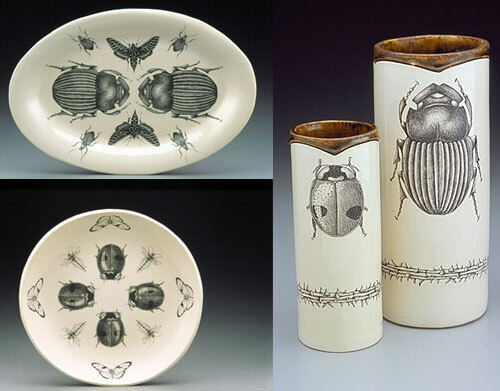 Laura Zindel’s surreal ceramic creations combine high-quality home dishware with faux historical hand-drawn imagery inspired by Victorian Cabinets of Curiosity. Sounds normal? 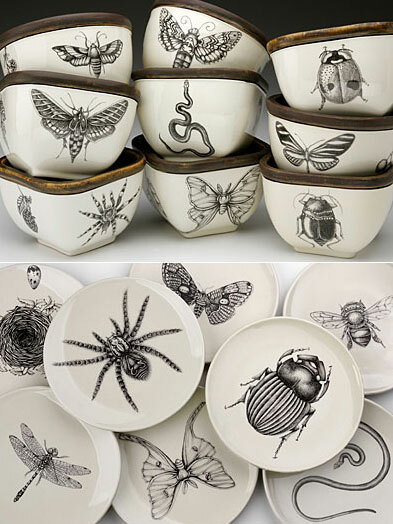 How about the next…the main elemets of the hand-drawing are bugs, snakes and spiders! I do admit she has natural talent for drawing. 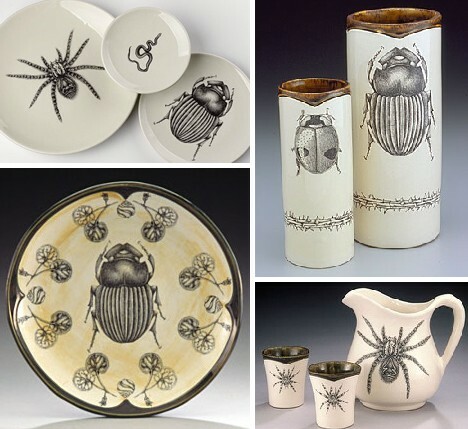 All of the meticulously detailed images on her ceramics are hand-drawn in pencil, then printed with enamel to become ceramic transfers which are subsequently collaged onto the raw pieces and fired for permanence in a process known as transferware. But still, why bugs? 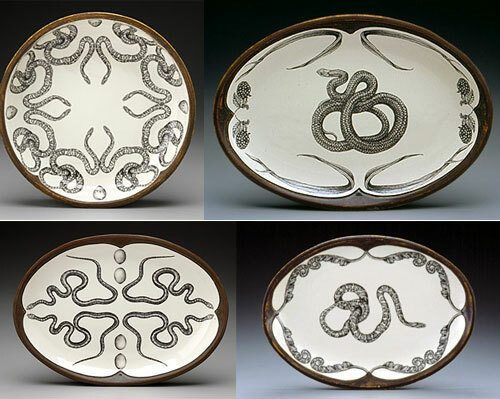 snakes? why on dishware? 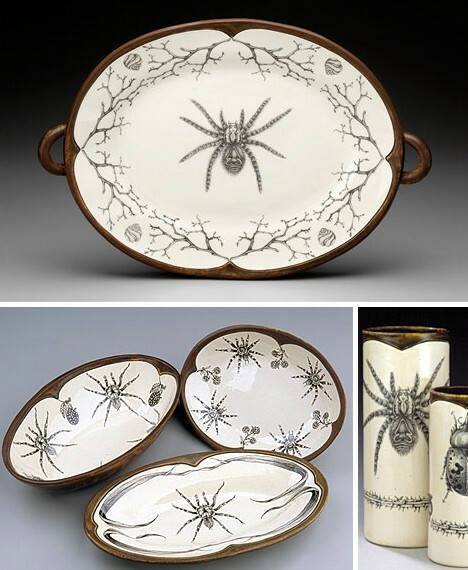 When asked about her inspirations, Zindel mentions the Victorian Cabinets of Curiosity, which were intensely personal collections of natural oddities and objects of beauty accumulated by the wealthier members of British society. 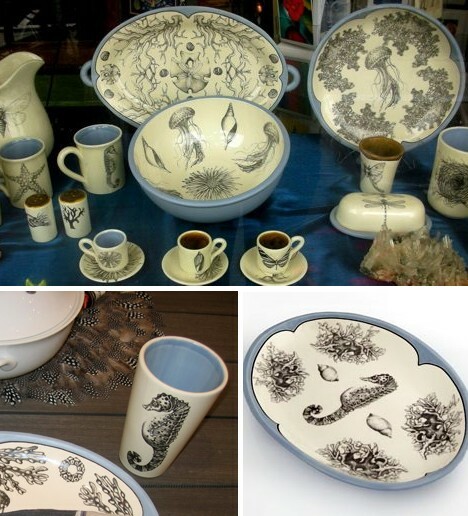 Any here is the marine series of Laura Zindel, seashells, starfish, sand dollars, seahorses and jellyfish which is more appealing to me compared with above bugs,spiders and snakes. 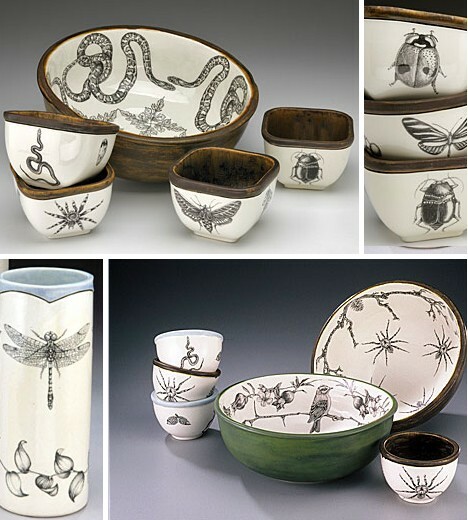 For more of her work, click here to check her website. Wow! These are beautiful! 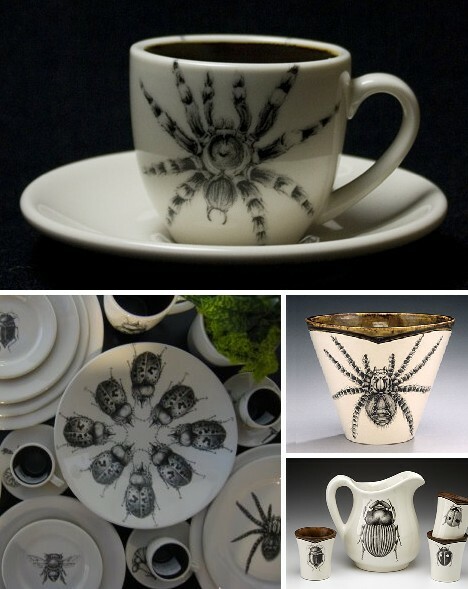 I’m not sure if some people would be able to eat off of these, but I wouldn’t have a problem.